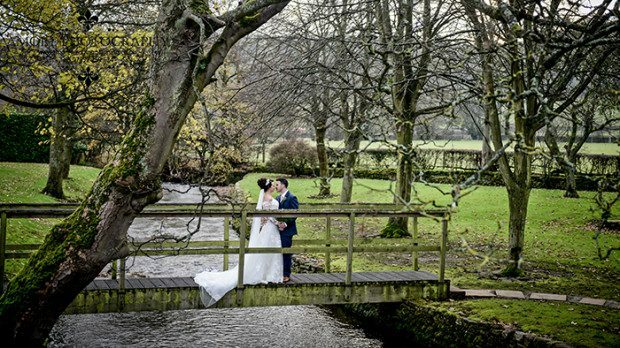 Amy and Michael chose a dreamy Winter Wonderland Wedding at The Devonshire Arms to tie the knot after 12 years together. 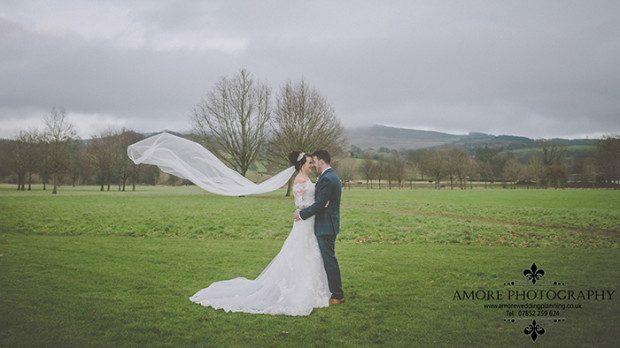 Amy looked so stunning wearing the Jewel gown by Enzoani, we are so happy to have been part of her special day. 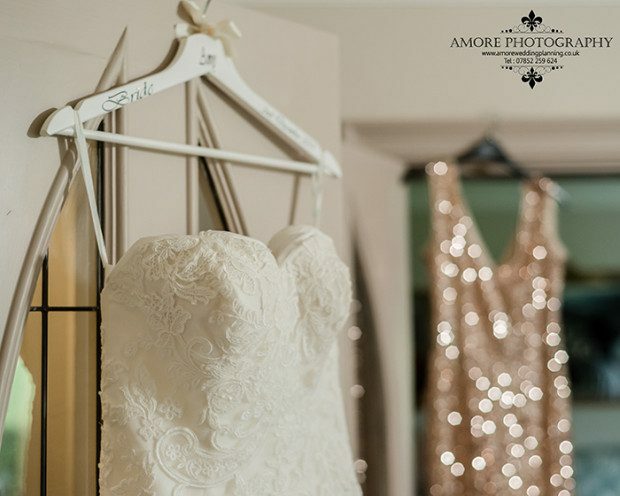 Amy shared with us a few details about her big day and her experience of ‘choosing the one’ with us here at The Harrogate Wedding Lounge. We have always loved this venue so much. As children we would both go to Bolton Abbey and made so many happy memories there. It is only a short drive away but you instantly feel as though you are in the heart of the countryside. Our theme was winter wonderland. Our main colour was white to keep in with our theme. We added a christmas feel to our day with real Christmas trees, twig trees and candles. 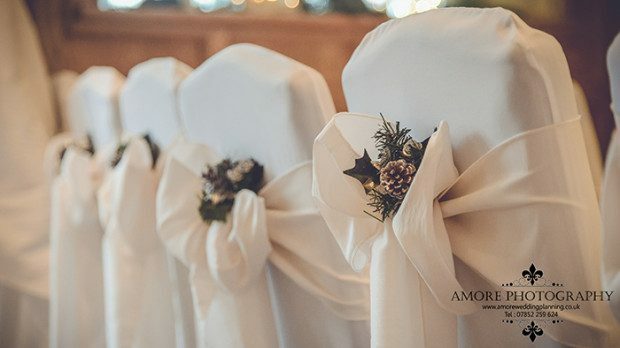 We wanted our guests to leave our wedding in the Christmas spirit. Finally marrying my best friend after 12 years together and for our two young children to be there to witness Mummy and Daddy getting married. It felt so magical that they could be a part of our special day. I remember feeling so emotional walking down the aisle to meet him, such a happy moment. When I thought about the types of dresses I love, they all had a lace sleeve and lace detail. 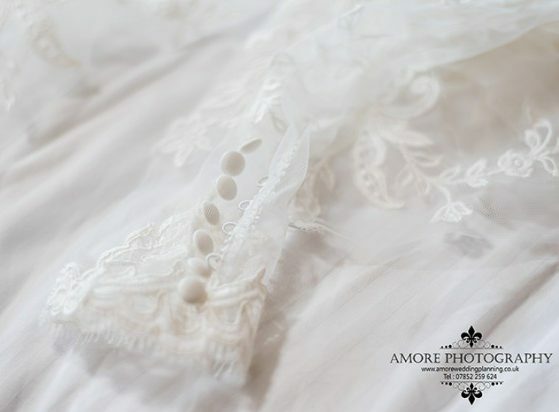 I think lace is so stunning and I knew that that was an important factor in what I loved. The first shop we went to when we started our search was The Harrogate Wedding Lounge. 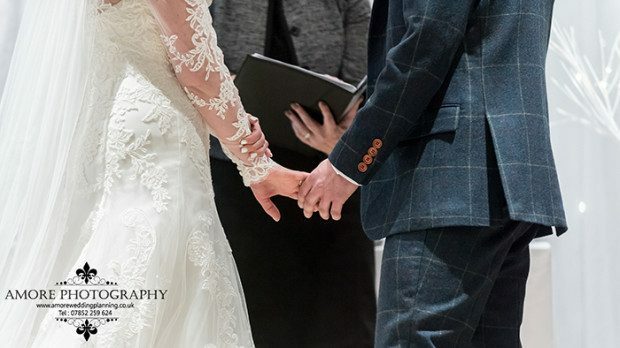 The first dress I tried on was Jewel by Enzoani and it blew me away. I felt like a princess. I couldn’t imagine marrying Michael in any other dress and knew instantly. 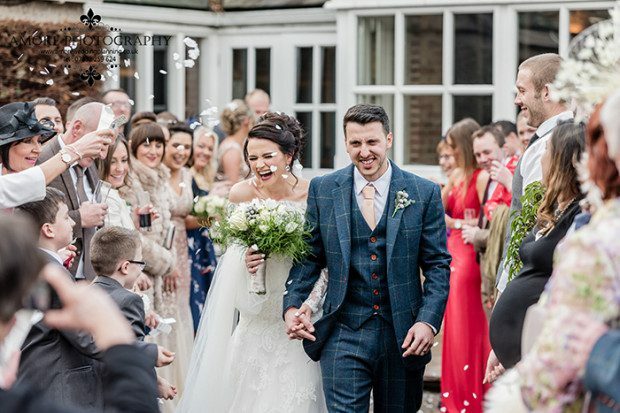 Walking into The Harrogate Wedding Lounge we felt instantly at ease. Everyone was so welcoming and friendly. It was like a little family. Every woman I met would be so easy to talk to and really made my experience so enjoyable. It was such a fun experience trying on all of the dresses.When I tried on my dress it had quite a large important feature missing for me. It had no sleeves. It was mentioned to me that a jacket could be made for me which would give the dress instant sleeves. I thought how amazing that this could be added into the dress so that I was able to tick every box. 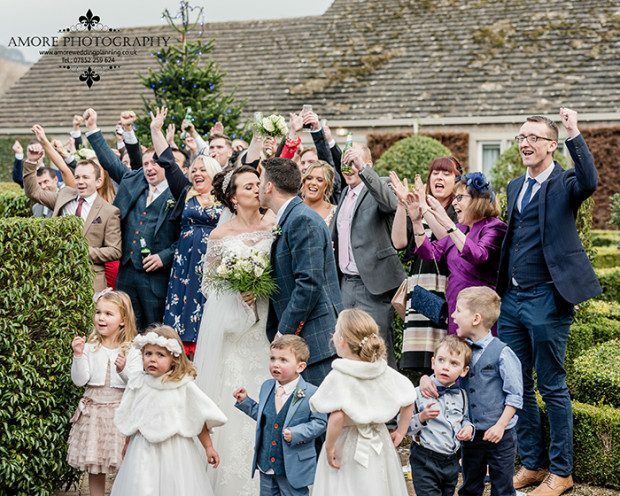 I owe The Harrogate Wedding Lounge a massive thank you in creating such a lovely experience for me. It truly was made to feel so easy and fun.